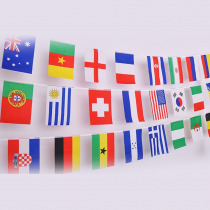 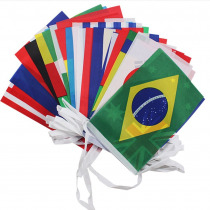 Extra Large Size 11.8'' x 7.8''International String Flags Banner. 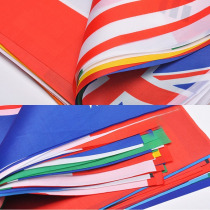 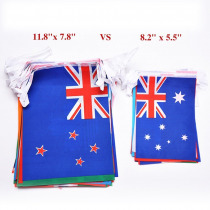 Each flag size: 11.8’’L x 7.8’’W (30cm * 20cm). 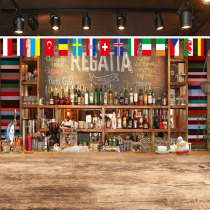 Great decorations for Games, International Celebration Events, Dinner parties, Bar, Sports clubs, and other occasions.